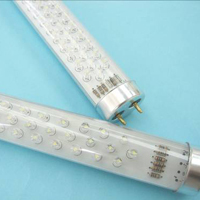 We have developed the new generation of LED tube to replace conventional fluorescent tube since 2007, we have develop several generation of High Lumens LED fluorescent tube to meet different market requirement. 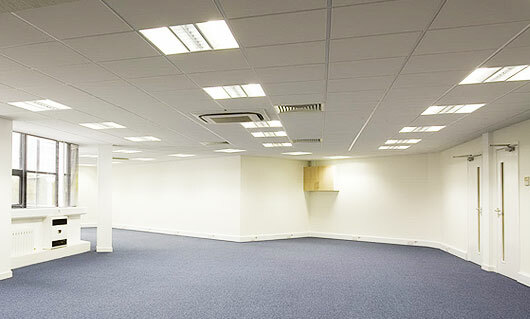 LED fluorescent tube is still a new product to many customers now. 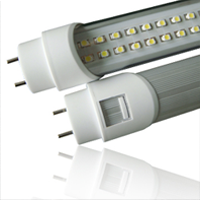 High Lumens Fluorescent tube series is energy saving and long life lighting product which available in standard length, color and temperature. 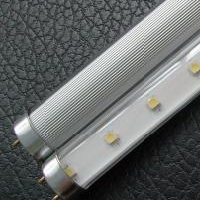 Made of SMD LED with Aluminum body. 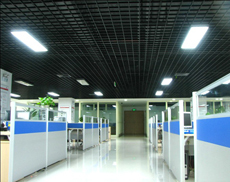 Using SMD 3528 and SMD 5050 LED are better than DIP LED which SMD will have high brightness, Low loss, Low thermal, Long life and smooth color. 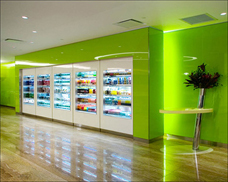 The cover type (Transparent, Prismatic and Frost Cover) are specially designed to reduce the glaring of the LED and meet to different application user requirement. NoFlicker, No adverse glare, No Phosphate, No CO² emissions and No UV pollution. Low Heat generated, Save Air-condition. Easy to installation, Replace in existing lamp base, No need Ballast and Starter.